Mimpi ($1.99) by Crescent Moon Games is an adventurous platformer about a dog named Mimpi, who wakes up one day to notice the absence of his owner. 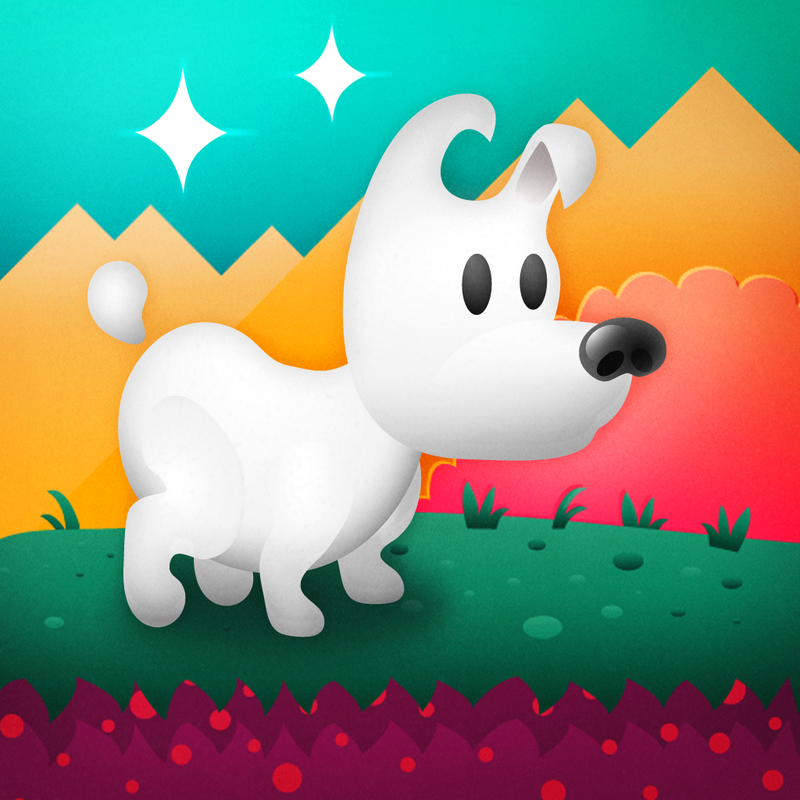 Like any loyal dog would, Mimpi sets out to find them, and it is your task to guide him along the way. 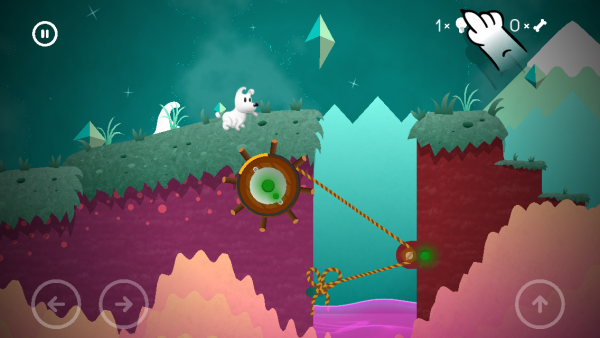 There are many good platformers that only include controls for moving and jumping, but Mimpi takes it a step further. 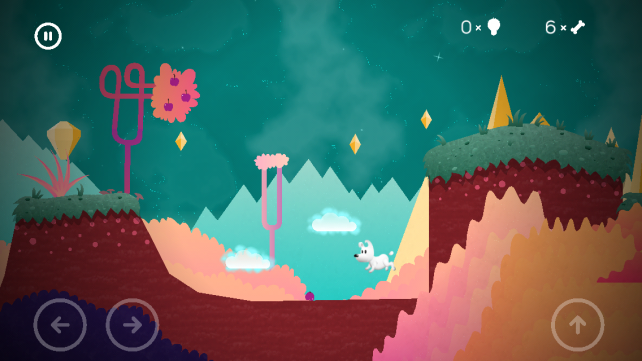 Along with walking and jumping, you can also drag clouds, which act like platforms, when Mimpi needs a bit of a boost. 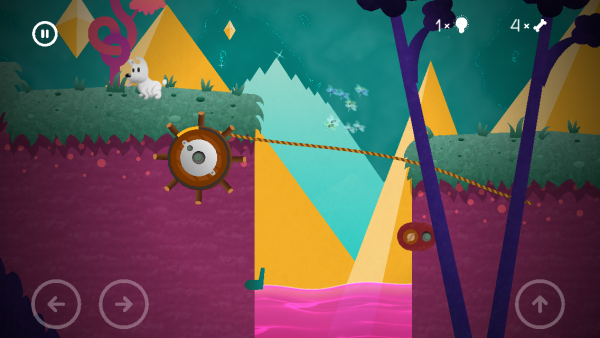 There are also wheels that move sections of land, clouds with stems, fish, and other objects that Mimpi can only utilize if you set them up properly. 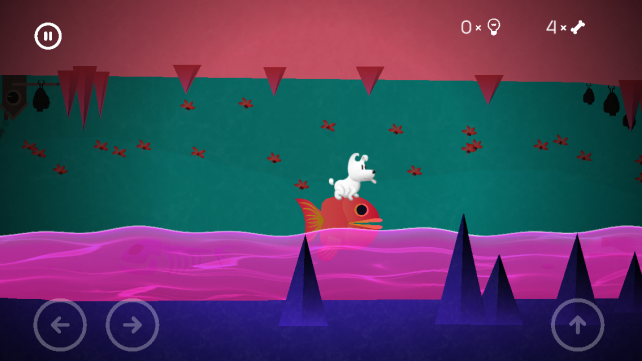 If Mimpi falls into the water or runs into some sort of evil obstacle, he will be forced to start over from the last checkpoint. There are no lives here, but it can get frustrating when having to go all the way back to a checkpoint after making mistakes, especially if you’re not sure what to do. For those times of uncertainty, you can view hints, which are earned as Mimpi collects light bulbs. Light bulbs can be collected throughout the game, or purchased in bulk via in-app purchasing. 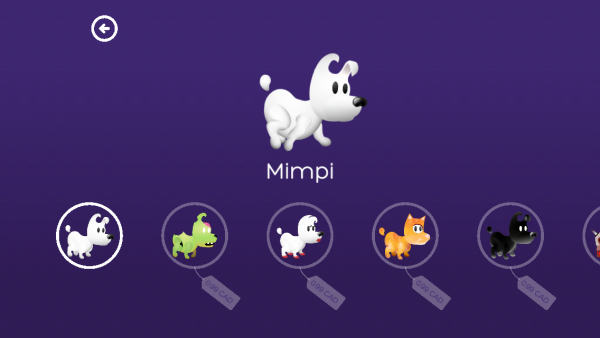 The same goes for bones, which can be redeemed toward viewing additional parts of Mimpi’s storybook, providing a greater understanding of the storyline. 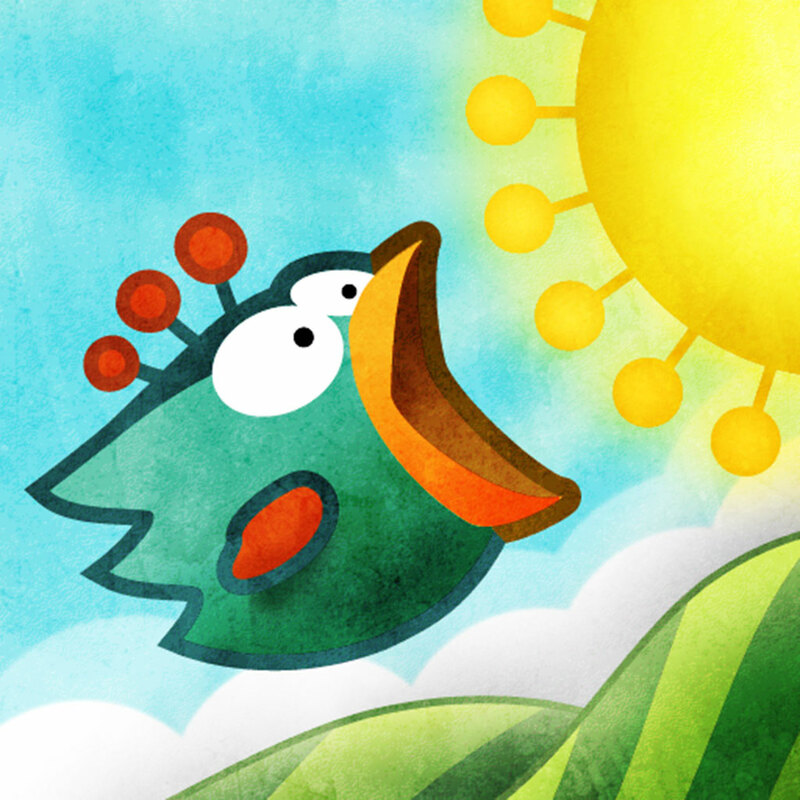 As you play Mimpi, you will immediately notice the astounding illustrated graphics, as well as the captivating sounds that accompany them. 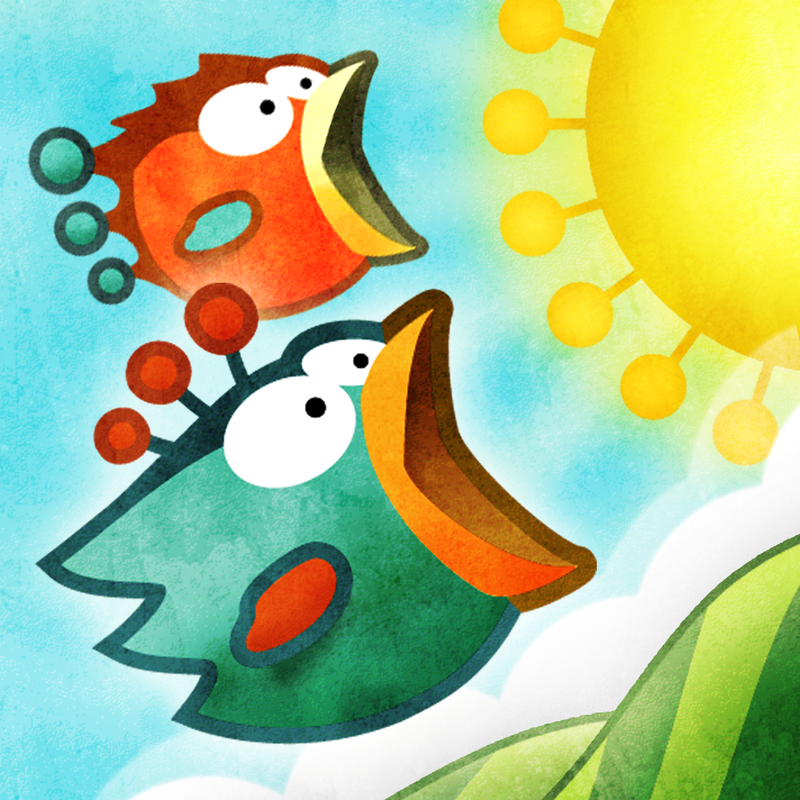 They look similar to the graphics in Tiny Wings, which are colorful and detailed, and add quality to the game. 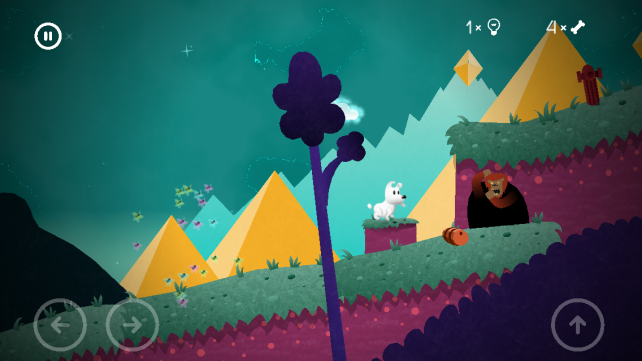 While I usually do not consider graphics to be of great importance, the illustrations found in Mimpi make me wonder whether I’m enjoying the gameplay for what it is, or what it looks like. 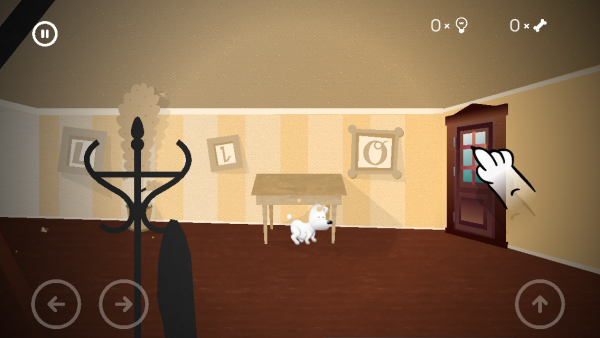 With that said, Mimpi is still an awesome title aside from the visual components. 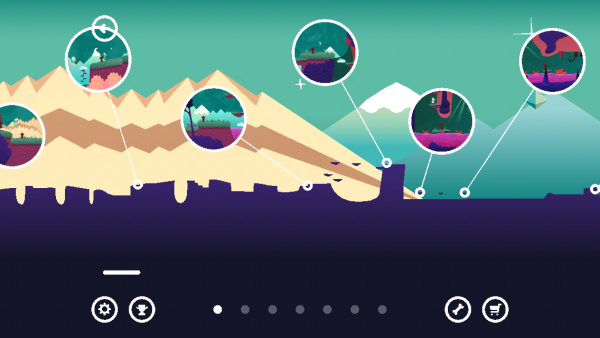 Not only does it contain more elements than a typical platformer, but to add more layers to the game, there are seven worlds to conquer. Each world looks totally different, and while I have almost completed the first one (since they take some time to get through), I am stoked to see what the rest have to offer. 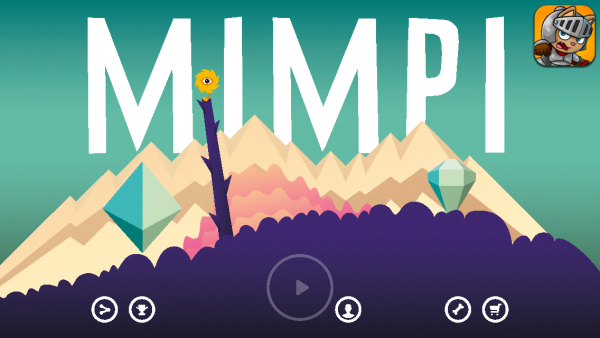 If Mimpi has caught your attention as fast as it got ahold of mine, you can head over to the App Store to take advantage of the universal $1.99 download.